NPS Center for Homeland Defense and Security Executive Leaders Program alumnus Peter Gaynor was nominated to be FEMA’s Deputy Administrator on June 20. Gaynor began his emergency management career with the city of Providence, Rhode Island, in 2008 after a two-decade career in the Marines. 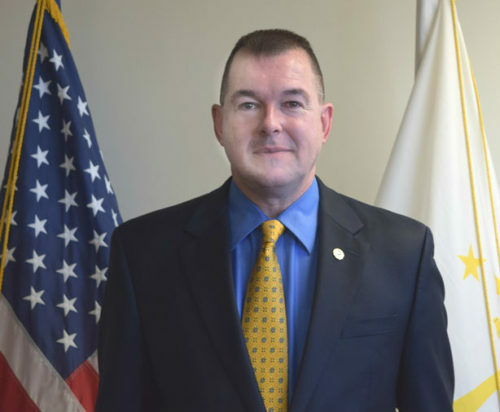 He was named the Director of the Rhode Island Emergency Management Agency in 2015. The ELP program was an invaluable part of his professional development. The nine-month program meets for four in-residence sessions to give senior leaders insight into the homeland security enterprise. Gaynor was fresh out of the military and plotting his next career stage when a historic snowstorm blanketed New England. Infamously known in Rhode Island as the “December Debacle,” it caught many local and state agencies off guard and led to led to widespread leadership changes. One of the jobs that opened up was the Director of Emergency Management and Homeland Security in Providence. In fact, military experiences translated well to his second career, he found. While in the military, he had served as the executive officer responsible for the security of Camp David, and as the head of Plans, Policy, & Operations at Marine Corps Headquarters during the attacks of September 11, 2001. Moreover, leadership skills and organizations are essential characteristics in leading an organization and the military and emergency management profession share a common credo: exercise, exercise, exercise. That background was helpful as Gaynor made some tough decisions about the agencies he led. In Providence, he hired an all-new staff and guided the construction of a new building for the department. During his tenure at the state level, Gaynor pushed to update job descriptions at the Rhode Island Emergency Management Agency that had been in place since the Cold War era, a task that required working with the affected employee unions as well as with the Division of Human Resources. Also, he plans to use a valuable lesson he has learned working at the local and state level.